Jeanne Veronica Gainer, 94, died April 4, 2018, at Munson Health Care Charlevoix Hospital with her daughters around her after suffering a massive stroke. She was born May 10, 1923, in Muskegon, Mich., where she also raised her three daughters. She lived at various times on Marco Island, Fla., Two Harbors, Minn., and Charlevoix. Jeanne was always a positive person, a devout Catholic who had been a Benedictine Oblate since 1990, loved Our Lady and the rosary, and was a powerful prayer intercessor who spent many hours in prayer each day, especially in her final years. She loved her family, and loved painting pictures with her Tuesday art group. She was a self-taught artist, and a member of the Circle of Arts in Charlevoix. She founded and hosted the yearly Under the Spreading Walnut Tree Art Show in Two Harbors, which still continues. Jeanne was first and foremost a mother who kept in close contact with her girls, talking on the phone or writing weekly letters and looking forward to in-person visits. Jeanne spent her early years helping to manage the family bakery, and eventually, as a widow, managed an 80-unit condominium by herself on Marco Island, Fla. 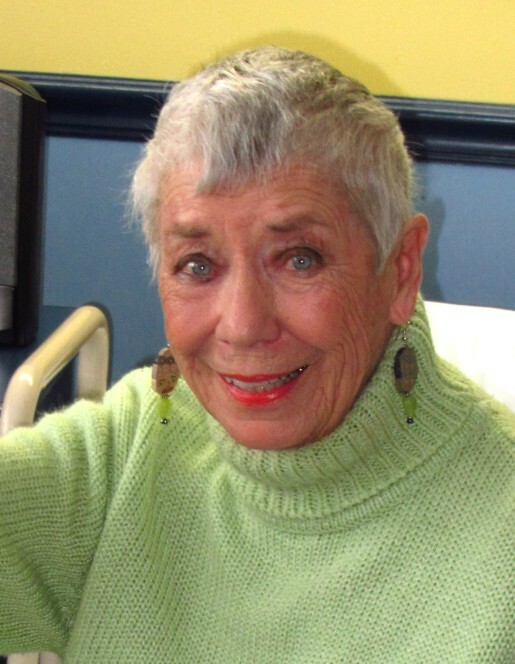 When she retired she shared a home with her daughter Kay Krause, focused on her art, but also loved to read and spend time at the Charlevoix Public Library, sit on her swing on the deck, watch the birds, and visit her beloved Lake Michigan which matched her beautiful blue eyes. Jeanne was preceded in death by her parents Oscar and Dinah (Vayette) Schultz, her brother Roy Schultz, her husband, Floyd Gainer, her grandson Ian Isley and her great-granddaughter, Jade Isley. She is survived by her sister Arlee (Eugene) Bodnar, Leesburg, Va.; daughters Monica (George) Sawyn, Sturgeon Bay, Wis.; Kay Krause, Charlevoix, Mich.; Denise (Cliff) Doyle, Kansas City, Kansas; grandchildren Maria Isley, Justin Isley, Kristin (Gary) Siegel, Michael Doyle, Jessica (Chris) Horn; six great-grandchildren, one great-great-granddaughter, and her beloved little shih tzu, Emily Marie. A memorial mass will be held at noon on Monday, April 9, 2018 at St. Mary Catholic Church in Charlevoix with Fr. Matthew Wigton officiating. Visitation will be from 11:00 a.m. until the time of services. Recitation of the rosary will be held on Monday at 10:30 a.m. also at the church. Interment will take place in spring in St. Mary's Cemetery. Arrangements by Mortensen Funeral Home. Online guestbook at www.mortensenfuneralhomes.com.